Fifteen Hudson Yards, designed by Diller Scofidio + Renfro in collaboration with the Rockwell Group, is one of a trio of skyline-redefining additions to the largest private real estate development in the U.S. 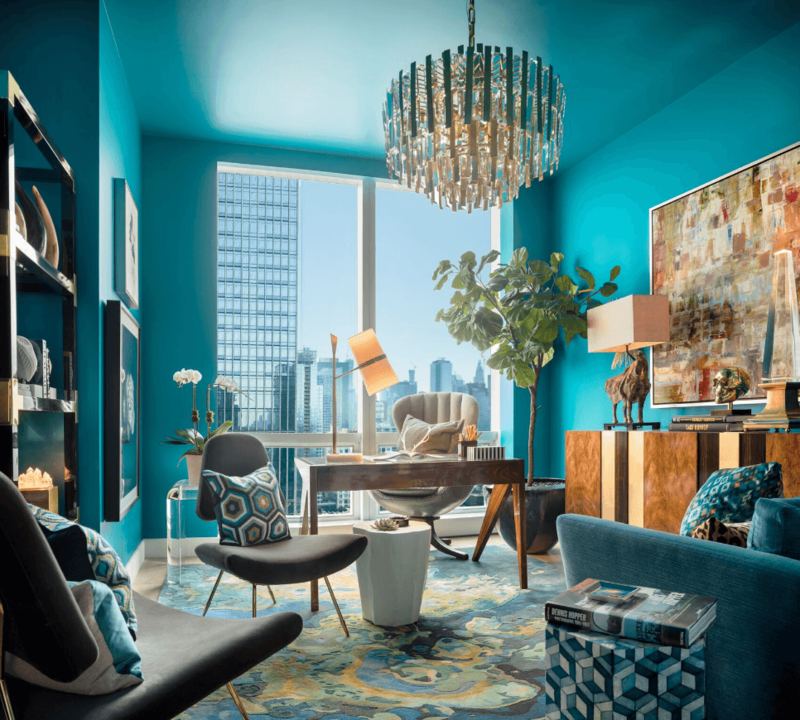 The new tower is the development’s first building to offer condominiums for sale; sales launched about a year ago, and Fifteen Hudson Yards quickly became Manhattan’s fastest selling condo. 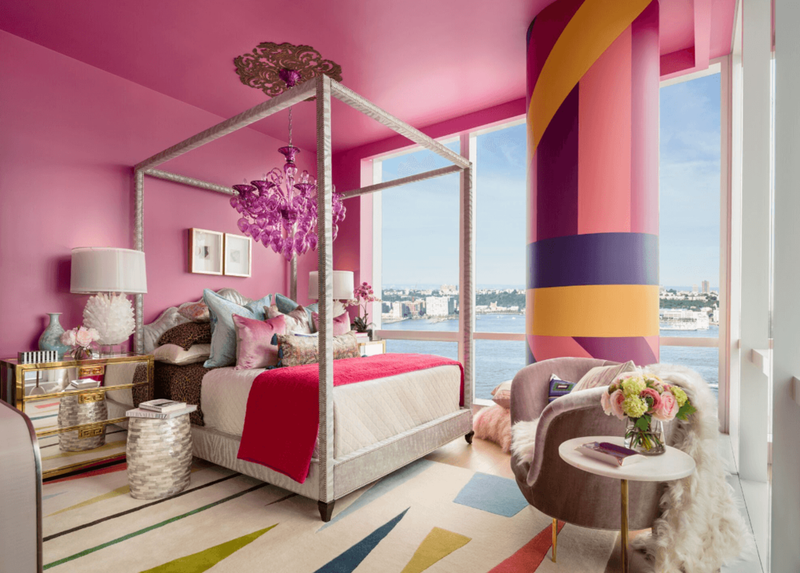 In designing the model home, Downing was inspired by his years of travel to the world’s fashion capitals, his passion for art collecting and the building’s dramatic skyline vistas. 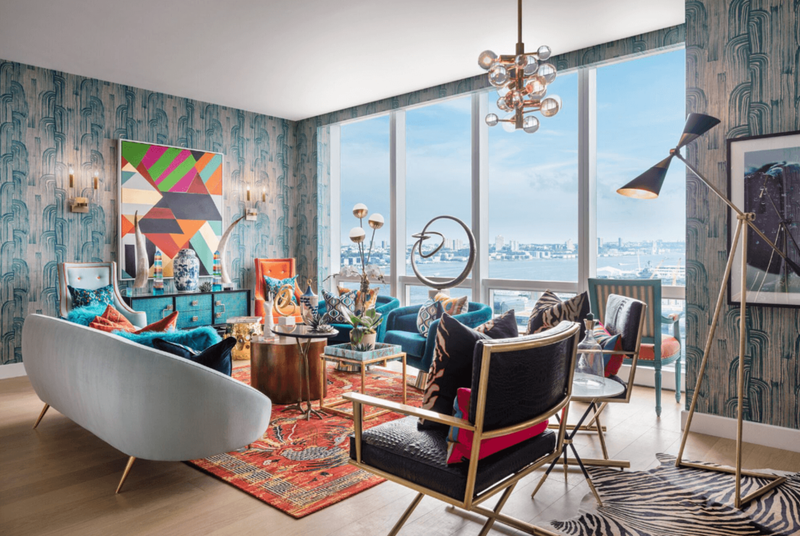 According to a press release, his design interprets Neiman Marcus’ distinct, luxury jet-set style for New York City and provides a peek into the new luxury environs on offer at the condo. The retail department store will anchor the development’s seven-story retail center with 250,000 square feet; Fairway grocery store will occupy about 45,000 square-feet on a lower floor. It’s certainly worth mentioning that 15 Hudson Yards just launched an affordable housing lottery for 107 of its nearly 300 units. Listings for the market-rate condos have ranged from a $3.8 million two-bedroom to a $32 million penthouse. By comparison, the affordable rentals, available to New Yorkers earning 50 or 60 percent of the area median income, range from $858/month studios to $1,350/month two-bedrooms. And in addition to the uncharacteristically accessible price point, rental residents will have access to all of the mega-development’s amenities, including new parkland, The Shed performance space and retail and restaurant space which will include the new Neiman’s, of course. Whether those residents will be excited to purchase the shoppable catalog‘s offerings, which include a $1,495 “John-Richard Collection Escher Perspective Cube Sculpture” and a more affordable plush “Venice Punch Knife-Edge Pillow” for $98, remains to be seen. 15 Hudson Yards also has a 24-hour attended lobby, two floors of wellness offerings including a gym, yoga studio, and swimming pool, and a skytop lounge with views of the Hudson River and Thomas Heatherwick’s huge climbable installation, Vessel.